We're happy to offer this excerpt from cartoonist Benjamin Frisch's graphic novel debut, The Fun Family, "a subversive look at the underbelly of the All-American family through the prism of Family Circus-esque Sunday morning comic strips -- a surreal deconstruction of modern parenting, childhood nostalgia, and good old American narcissism." With candy-colored artwork masking dark storytelling twists and an unexpectedly transcendent finale, THE FUN FAMILY is not the book it seems to be at first glance. 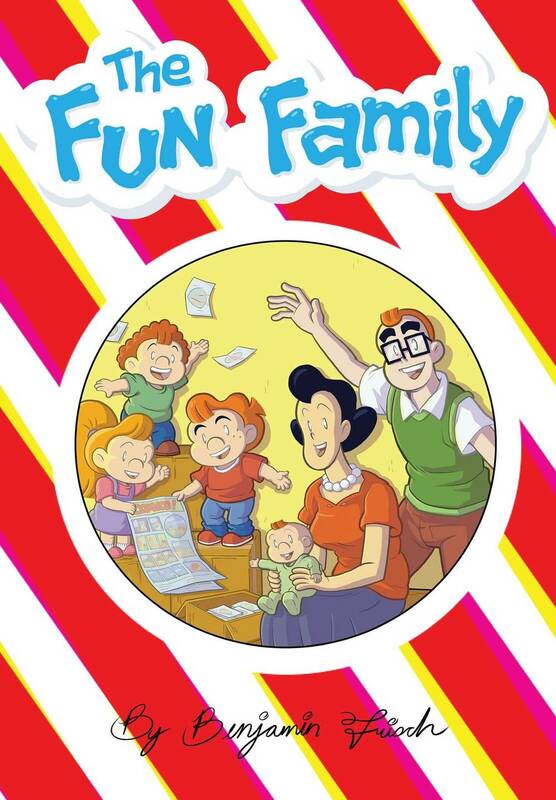 As Frisch's story opens, paternal cartoonist Robert Fun has earned a devoted following for his circle-shaped newspaper comic strip, which celebrates the wholesome American family by drawing inspiration from his real home life... but the Fun Family bears some dark secrets. As their idyllic world collapses and the kids are forced to pick up the pieces, can they escape the cycle of art imitating life imitating art?